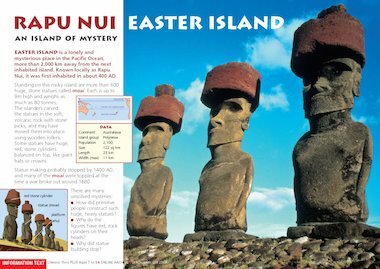 This geographical text provides information about a tiny but well-known island in the Pacific. Information is presented in the text, the labelled illustration, the photograph and the data box. The text raises questions that children can investigate further.